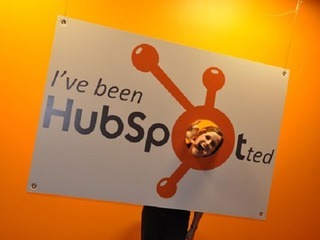 Inbound marketing system HubSpot is on a mission to make its product more personalized and more human. The company has now made two key acquisitions that will help the service go in that direction. The company has picked up Chime, a Chrome plug-in that allows users to get all of their social media notifications in their browser, and PrepWork, a platform that syncs with your calendar to give you relevant information about people you’re meeting with, it was announced Thursday. No financial terms of the deal have been disclosed, but, in an interview with VatorNews, Chime co-founder Fahd Ananta said that the deal was "industry average." 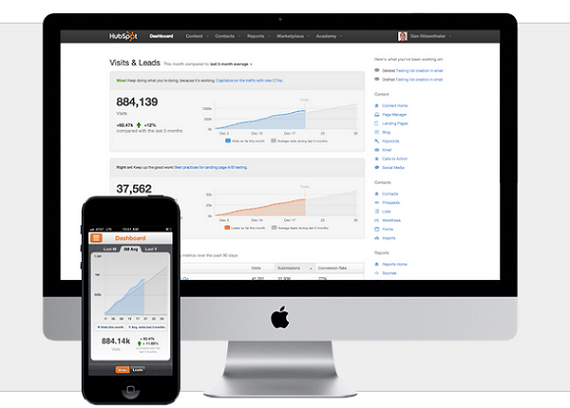 Both companies will be joining HubSpot in June. Ananta confirmed that his company will be integrated into HubSpot and that the he, along with co-founders Thariq Shihipar and Guru Mahendra, will all be moving to the company's Cambridge, Massachusetts office. All three co-founders are currently seniors at the University of Toronto. "This acquisition is ultimately about taking what these teams know and do well and applying those learnings to HubSpot, so for now the applications will remain and when both teams join in June we'll reassess accordingly," a HubSpot spokesperson told VatorNews. HubSpot, which was founded in 2006, helps companies get found online using search engine optimization and marketing leveraging blogs and the blogosphere and engaging in online social media. The company helps the company find more prospects and then convert them into leads and customers. Brian Halligan, CEO of HubSpot, outlined why he chose to buy the two companies in a blogpost put up on Thursday, namely personalization and humanization. "Both Chime and PrepWork deliver on our vision for new ways to humanize bottom-of-the-funnel interactions," he said. HubSpot was started with the belief that technology is changing human interaction, and both of these startups make the interaction more human by supplying content that is both relevant, and contextual, by actually solving a customer need. On top of that, HubSpot has "talked about how having a back end leads system and a front end web system together in HubSpot uniquely facilitates a more personalized customer journey." Chime and PrepWork allow people to have a more personalized engagement with customers, he said, while also being committed to efficiency and effectiveness. Purchasing these two companies "gives us deeper knowledge and assets to convert qualified leads into customers." "Personalizing and humanizing the customer’s journey is critical to our mission, and both of these companies deliver upon that promise." But more than that, Chime and PrepWork were simply good cultural fits for HubSpot. "Acquiring companies isn’t something we take lightly when it comes to cultural fit. We look for people who are incredibly smart, operate at a rapid pace, are innovative, independent thinkers, and are driven by GSD: getting stuff done," Halligan wrote. "In both PrepWork and Chime, we felt fortunate to find teams who fit wonderfully into the existing culture at HubSpot, and we can’t wait for them to join us full time in June." When I asked him why the two companies were a good fit, Ananta said something similar to what Halligan wrote: that HubSpot looks for smart, entrepreneurial thinkers. "Their process is innovative and focuses on cultural intelligence," he said, and that is why he is excited to join the team. Toronto-based Chime launched in January of this year, and has 20,000 users. The company's ultimate goal, said Ananta, is "to make the web a more personalized place." HubSpot has raised over $100 million in funding, including a $32 million round led by Google Ventures, Salesforce, and Sequoia Capital, with participation from previous investors General Catalyst Partners, Matrix Partners and Scale Venture Partners in March 2011 and a $35 million mezzanine round from Altimeter Capital, Cross Creek Capital in November 2012. Chime and PrepWork are the third and fourth acquisitions for the company, which previously bought marketing automation company Performable in June 2011, and then purchased social media marketing company Oneforty in August 2011. PrepWork was unavailable for comment at this time. 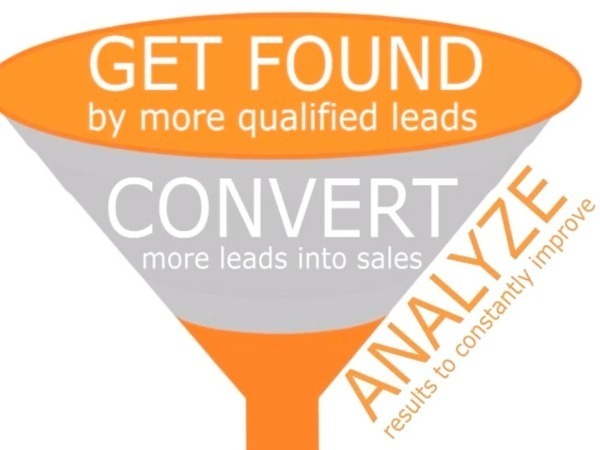 HubSpot is an inbound marketing system that helps your company get found online, generate more inbound prospects and convert a higher percentage of them into leads and customers. HubSpot helps companies get found by more prospects using search engine optimization and marketing, leveraging blogs and the blogosphere and engaging in online social media. By using landing pages, lead intelligence and marketing analytics, HubSpot customers convert more prospects into leads and customers. Based in Cambridge MA, HubSpot Internet marketing can be found at www.HubSpot.com and the Website Grader free SEO tool is available at www.WebsiteGrader.com.